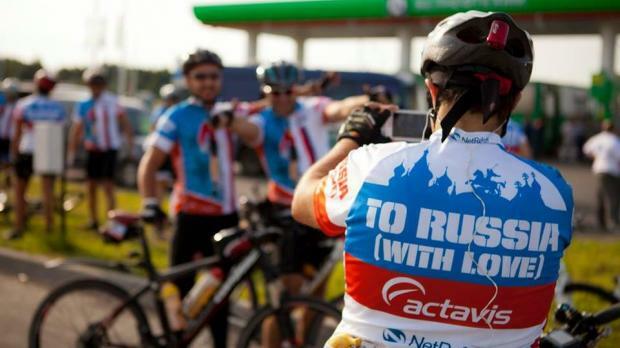 After 18 weeks of arduous training, the 20 cyclists taking part in the Actavis LifeCycle 2013 Challenge finally set off from Minsk in Belarus, feeling a mixture of relief that they are finally on their way, excitement at the adventure ahead and concern over the sheer physical and psychological challenges that they will face over the coming 10 days. The team, with 11 back-up members, left Malta last Saturday and spent Sunday assembling the bikes and getting a last-minute briefing from the team in charge of the logistics. Yesterday was a blurry-eyed 5am start and after a carbohydrate-loaded breakfast and a bit of team bonding, last minute hugs and photographs, silence fell as each of them pondered the trials ahead. Everything worked like clockwork and they set off under clear blue skies - although the temperature was thankfully much cooler than in Malta. Each detail of the route is printed on laminated cards but they will also be following some 300 signs every day which are put up every few hundred metres by one team, and removed by the last car once the last cyclist has passed by - and there could be several kilometres between the first and last cyclist. 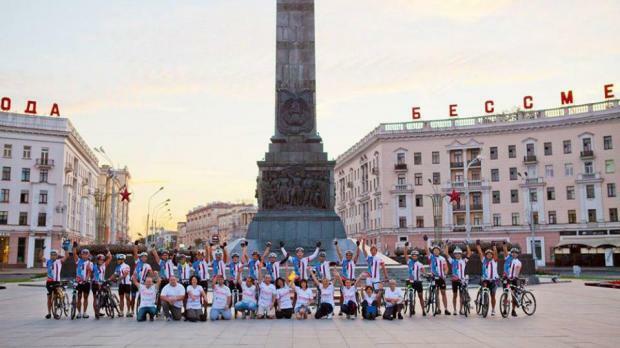 The cyclists taking part in the Actavis LifeCycle 2013 Challenge got an instant reminder of just how careful they need to be soon after they set off from Victory Square in Minsk: The cyclists get into a 'drafting' formation, where they cycle in a line very close behind each other to benefit from the reduced 'drag'. But two of them got too close and got entangled, with one of them falling to the ground, suffering grazes and bruising. It was thankfully a minor incident but it certainly helped to focus the cyclists' concentration on the dangers ahead. 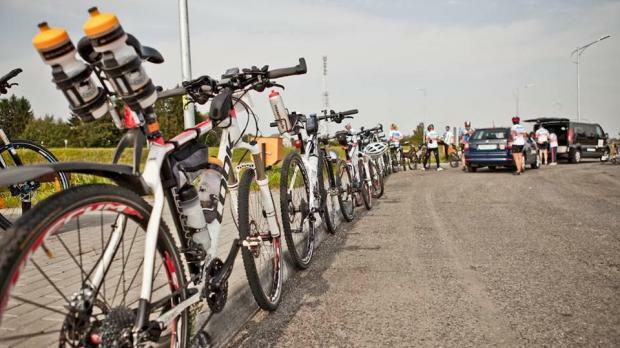 It turned out to be quite a long day for them as it took them five-and-a-half hours to cross the border from Belarus into Lithuania, but they managed to get through by 7.30pm, and they only had a few hours more cycling to get to the sports hall in Vilnius which hosted them for the night. For those who have never done LifeCycle before, they found they quickly got into the routine of pumping up their mattress, washing their clothes, eating the high-carbohydrate food prepared by the kitchen team and then going straight to sleep, ready for the 5am start. So far the cyclists are only complaining about their aches and pains, but as the days take their toll, their arms and legs will start to get covered in multicoloured bandages and strapping. Day 2 will see them cycle 190km to Kybartai - but a light rain is going to make the going much more treacherous.